Want to delve into the world of The Force Awakens? Now's your chance! 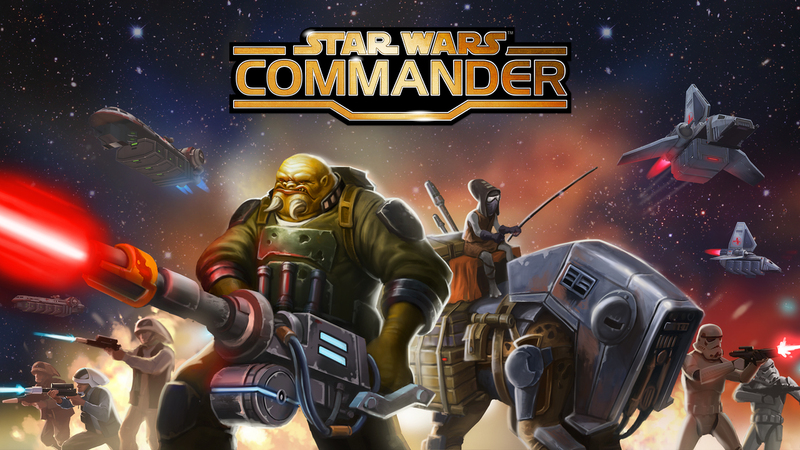 Star Wars Commander is still getting new content, most recently today with a brand new The Force Awakens update to keep up to date with the movie that's releasing near the end of the month. Reminder that it's almost here? You're totally welcome. The latest update for Star Wars Commander includes two Force Awakens characters as well as an entirely new area to play within: Takodana. Very akin to Mos Eisley, it's a wretched hive of scum and villainy. To keep things interesting, there's also a bonus going on meant to invite players back to the game. If you log into Star Wars Commander right now you'll get 5 free consumables for each of the two units found within takodana. There's a ton of players out there, too. The game, since its late August debut, amassed 20 million downloads. That's ridiculous. What's even more ridiculous is the fact that 5 billion stormtroopers have been sent to their likely death in the game -- knowing how bad their aim is, anyway. You can download all these goodies today if you decide to log in, and I would, personally. There's some good stuff to be had.